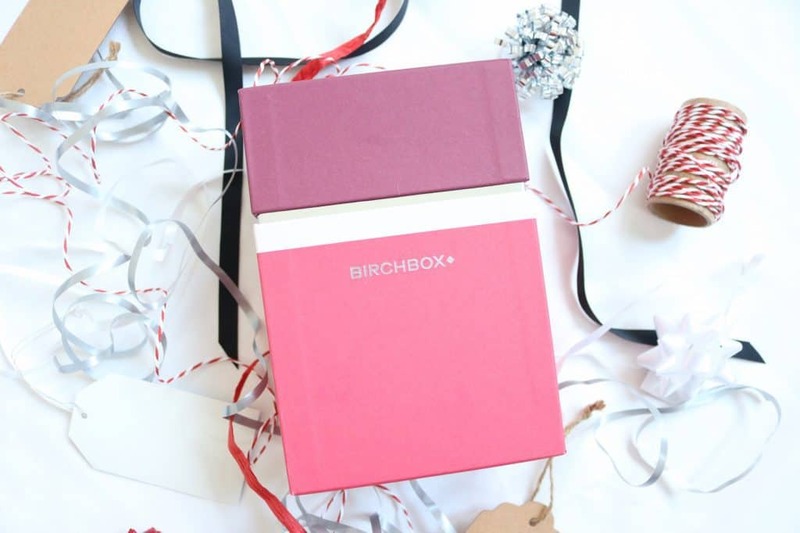 This month’s Birchbox is, of course, the Christmas box! Can you believe Christmas has come round so fast?! 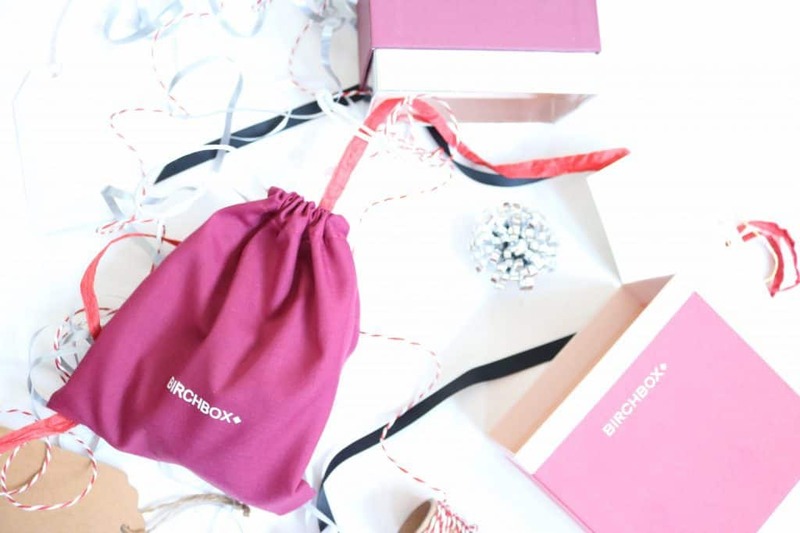 The box, named ‘Merry and Bright‘, is full of brilliant products perfect for the glitz and glam of Christmas and New Years festivities. 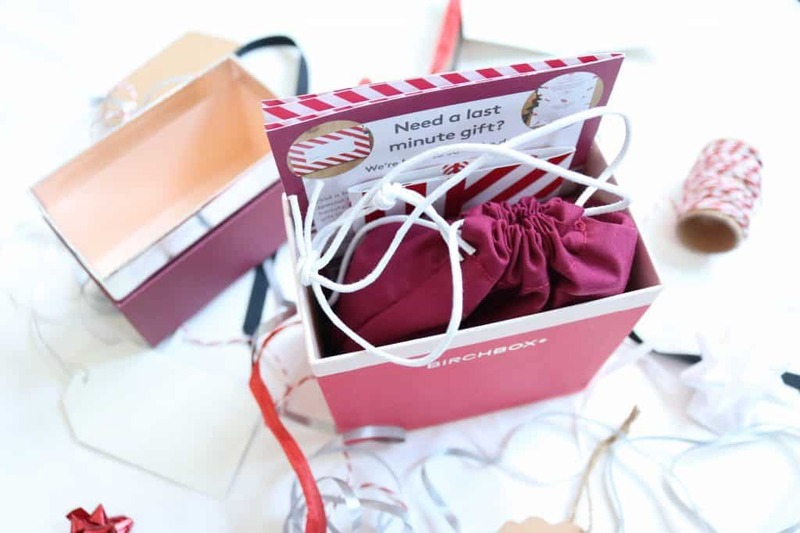 This month, the products came in a different box design – the lid pops off, and inside is a little pouch full of goodies! I really like this box design, as you could pop this on your desk and use to store makeup brushes, pens and pencils etc. Pouches are always super helpful to have to hand, too! 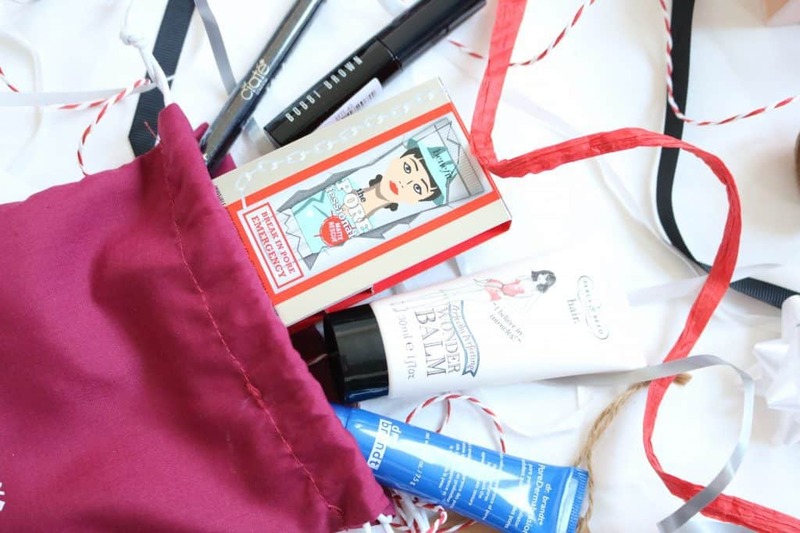 In the box are bits and bobs useful for whether you’re partying or pampering in the coming weeks, so let’s dig in and see what we got! 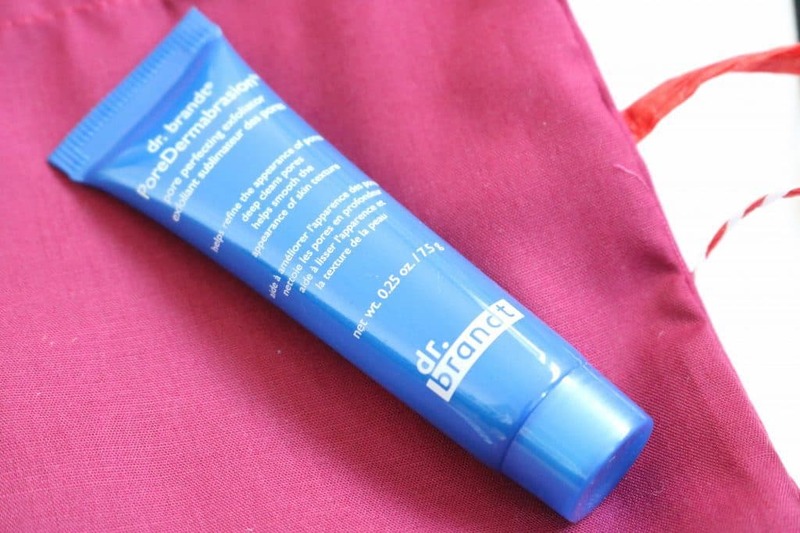 Perfect for a pre party pamper, the dr. brandt PoreDermabrasion exfoliator leaves you with bright, soft skin. It has a very fine grit in it – different to my usual choice of exfoliator where I tend to go for the largest, harshest grit to get the deepest clean – however the fine grit is very powerful, and really does unclog my pores. The product is full of salicylic acid – the beauty saviour that can cure acne, calm angry skin and even your skin tone. My skin is left smooth and I definitely can see an improvement to my skin tone after using this exfoliator, so all round its definitely a 5/5 from me. Thank you Birchbox for introducing me to this product! The next product I pulled out of the pouch was the Percy & Reed Perfectly Perfecting Wonder Balm. I’ve actually owned this product before (and since ran out!) and I have to say – I love it. Whilst you can use it on towel dried hair, my favourite way to use the balm is as a ‘de-frizzer’ – I rub a small dot between my finger tips and finger brush through the ends of my hair. It leaves my hair shiny, smooth and controls any flyaways. This is definitely a hair saviour and the handy travel size makes it easy to pop in your handbag on a night out in case of a hair emergency! Now – we’ve prepped our skin and done our hair, I think it is time to do our makeup! 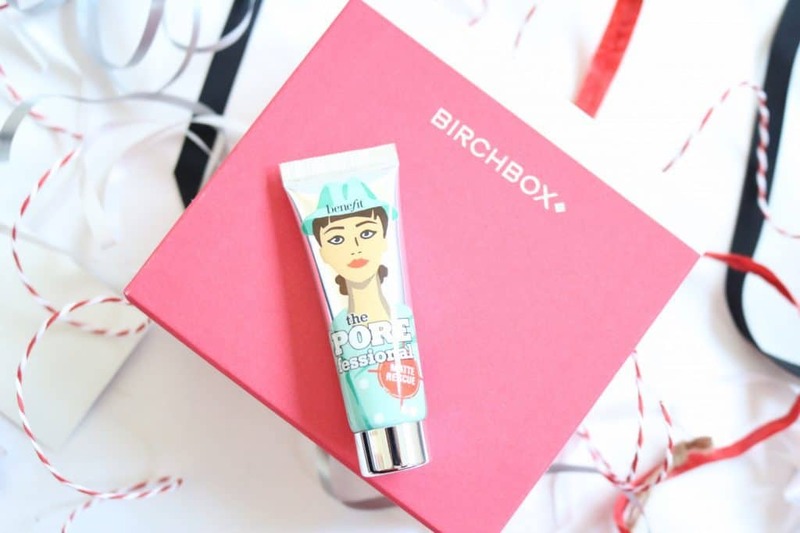 I was super excited to see the Benefit Cosmetics POREfessional: Matte Rescue in the Birchbox, as this was a hugely anticipated release that was set to be the next big thing to the original POREfessional. I must admit, I am a little disappointed with this – I don’t think it lives up to the hype nor to Benefit’s extremely high standard of products. Yes, it does mattify my skin a little, but I’m not sure how well it would keep an extremely oily skin matte – it definitely doesn’t mattify my foundation all night, and I have more dry-combination skin than excess oil. It was great to be able to try out the product, but honestly – I probably wouldn’t purchase it myself. 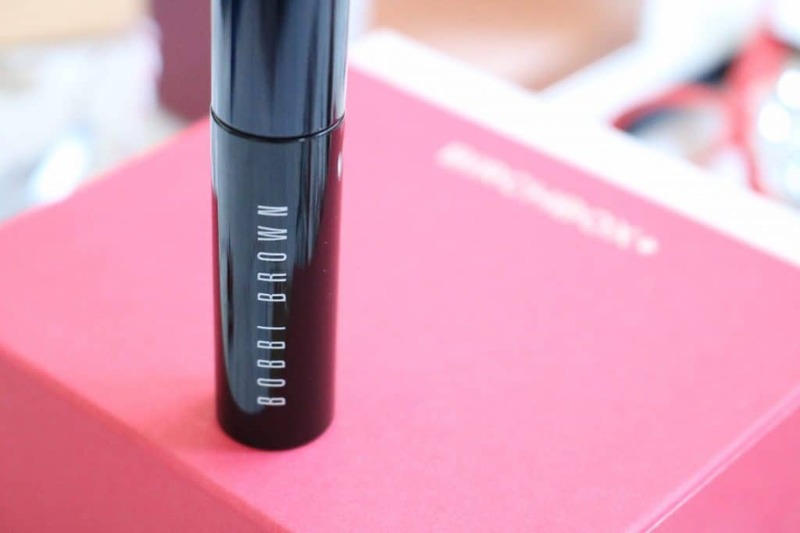 I’ve never tried a Bobbi Brown mascara before, so when I saw the Bobbi Brown Smokey Eye Mascara I was excited to give it a go. 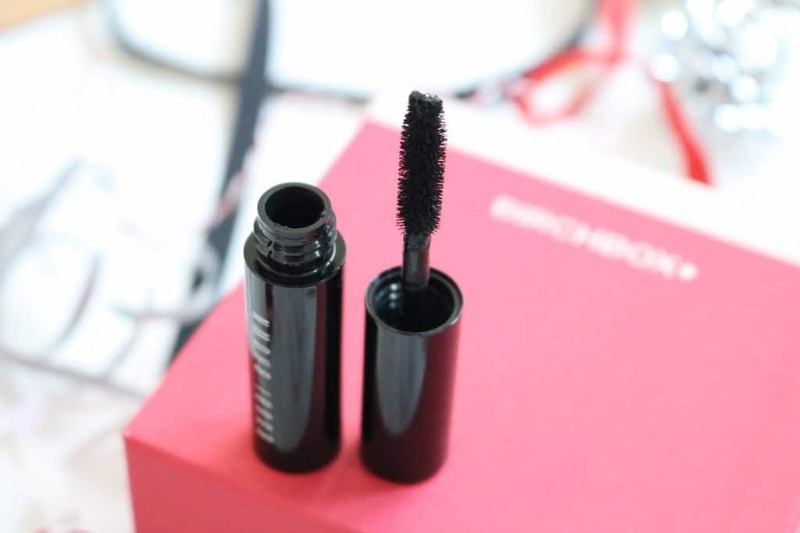 All I can really say is that I’m impressed – it gives good volume without going clumpy, and definitely lengthens my lashes well. It also didn’t seem too heavy on my lashes, meaning they kept rounded as opposed to drooping. I definitely see this more of a mascara for a going out/night time look. All in all, I’m pretty impressed and I would definitely pick this up myself! Last, but certainly not least, is the Ciaté London Fierce Flicks Eyeliner. This is a pen liner and definitely gave me a throwback feeling to my first eyeliner when I was about sixteen that was also a pen eyeliner! However, this is definitely a LOT better than the one I had! 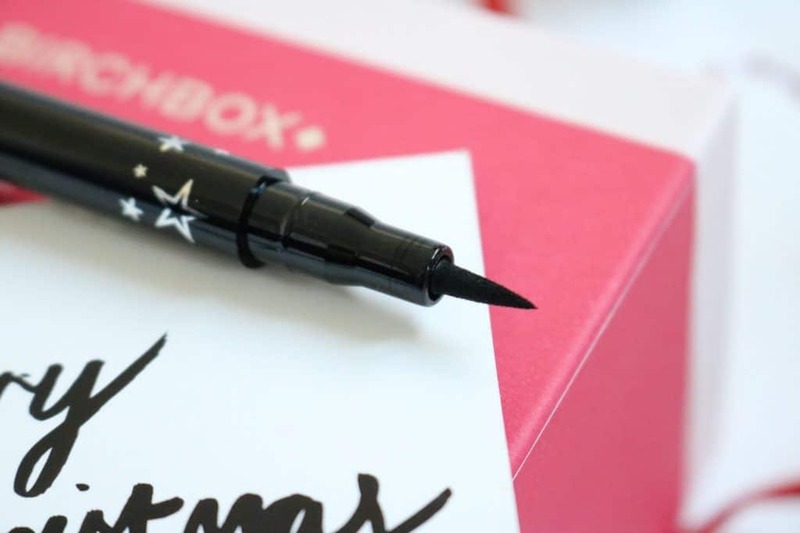 It’s jet black, meaning you don’t have to layer it up to get an intense colour, and the super pointed tip lets you create a flick with ease. I would highly recommend this to anyone that struggles with eyeliner – it is honestly so quick and easy to use! So there you have it! 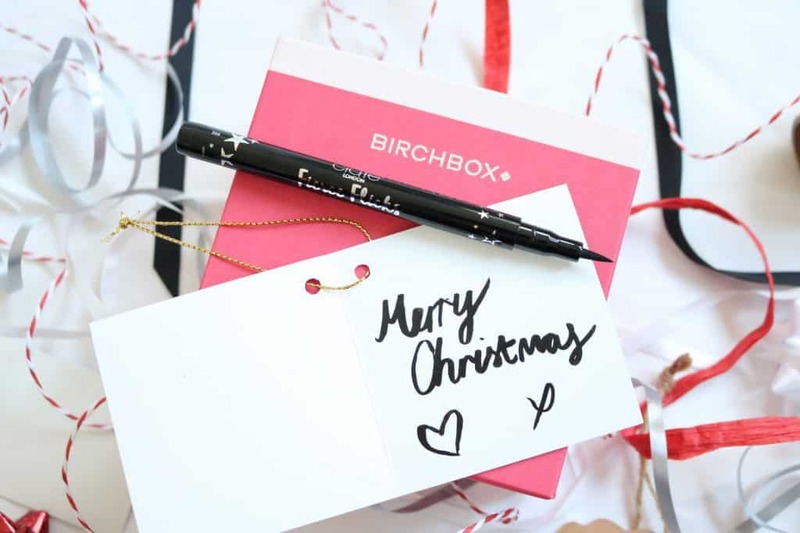 That’s all for the Christmassy December Birchbox. 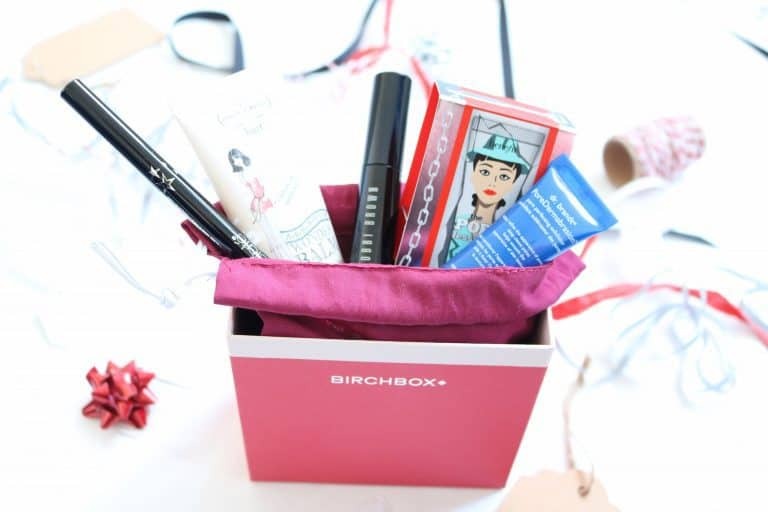 As always, I was yet again really impressed with the box – you definitely get your money’s worth and the products and brands are always high quality. Yet again, a very high calibre box packed full of essentials for the party season!